MimiMatthews.com is Moving to a New Website Provider. Don't Get Left Behind! 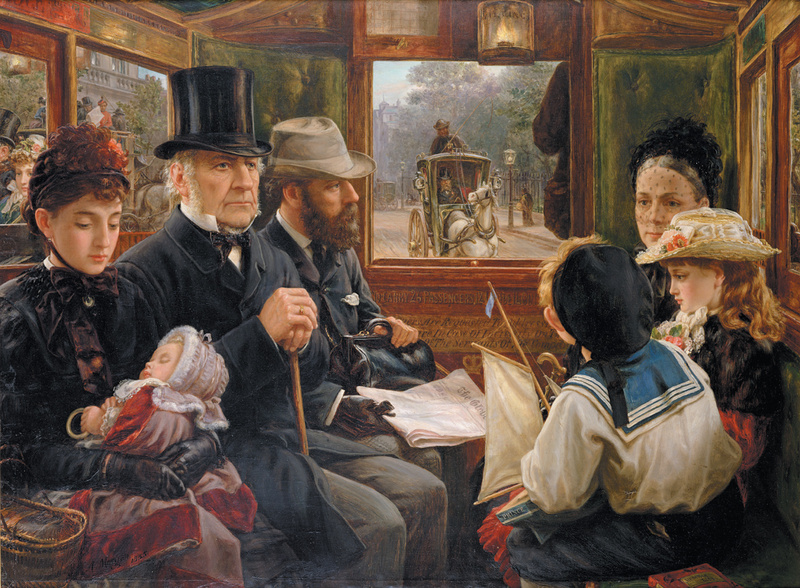 The Bayswater Omnibus by George William Joy (1855-1925). MimiMatthews.com is presently undergoing a complete website redesign. My new website will launch in the next week or two. My web address will be the same, but my entire website is going to look very different. Don’t be alarmed! It’s still me. 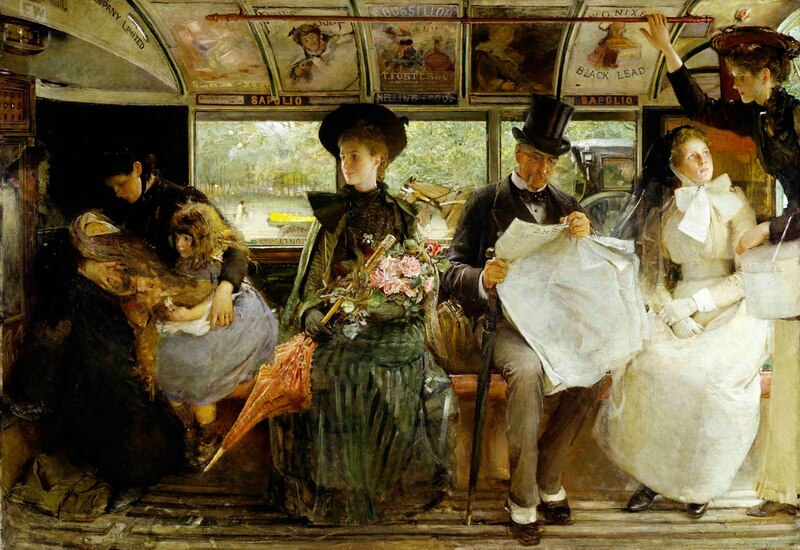 All the same content will be available to you—including my archive of articles on nineteenth century animals, etiquette, fashion, beauty, and law. So, what does this mean for you? For those who follow my website via email, nothing is going to change. You will continue to receive email notifications whenever I post a new article. If, however, you follow my website through your WordPress account, you will no longer receive notifications. If you would like to continue receiving notifications of new articles, please subscribe to my website via email. The email subscription form has been moved to the top right side of the screen for your convenience. If you are logged into WordPress, it will say you are already subscribed. In order for the email sign-up box to appear, you will have to log out of WordPress first. I have loved my two years at WordPress, but I’m very excited to move on to the next chapter. I think you will all be pleased with the beautiful new look of my website. If you haven’t subscribed by email already, please do. The omnibus will be leaving shortly. I don’t want anyone to get left behind! Oh no! I didn’t realize that would happen. Thanks so much for letting me know. I’ll add a note to the post. I can’t log out of wordpress because I don’t know how! and then I couldn’t log back in and I’ll lose all my other notifications….. please make notes of your posts on other websites so I can find you again …. Oh no! Well, don’t worry. I’ll still be at the same website address. And I believe if you follow me on wordpress, you will still see my posts in your wordpress reader. You just won’t get email notifications. When you are logged into wordpress, you can see a “Reader” icon at the top left of the screen. A reader is where it shows all the posts of everyone you follow on WordPress. You can scroll through them. I’d rather not log out of my wordpress as there’s too much hassle with regards to logging in and out but hopefully your Facebook page will still keep me informed about any new posts. Thanks so much :) And no worries about logging in or out. There will be a subscribe button on my new website. Great news Mimi. I am looking forward to the new design. I receive your notifications by email so hope I am good to go! I can’t wait for you to see the new website, Jeanne :) I think you’re good to go (fingers crossed!). If not, you can always re-subscribe on the new site.